Solange. Photo: Courtesy of Columbia Records. Here to save Black History Month from the demons formed against it, Solange has emerged from wherever she’s taken refuge just in the nick of time. Her fourth album, When I Get Home, has arrived mere days after she gave any inclination that it even existed and is streaming now on all services. It features contributions from Pharrell, Dev Hynes, Sampha, Gucci Mane, Earl Sweatshirt, Cassie, Tyler the Creator, Playboi Carti, The-Dream, Panda Bear, and more. It also samples Houston legends Debbie Allen, Phylicia Rashad, Pat Parker, and Scarface. 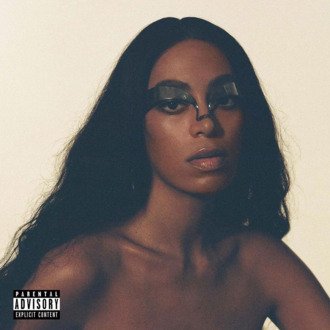 Solange previously said of the project that it’ll be “jazz to the core,” but also contain elements of electronic and hip-hop drum and bass because she intends on it “making your trunk rattle.” She also gave fans the heads-up then that the album would be a complete surprise, saying it’d be “in progress until the very end.” At last, the time has come! Go forth and nourish your souls! Update, 5:00 p.m. ET: Solange has pulled a Knowles and also announced a companion film for her new album will drop on Apple Music tonight at 7 p.m. ET. If these sisters never rest, neither can we! “When I Get Home” the film coming out 4pm PT/7pm ET on @applemusic and i couldn’t be more proud ! Link in the bio 🖤🖤 y’all so damn much!